This seasonal dessert is light and airy, with plenty of pumpkin flavor to put you in the holiday spirit. 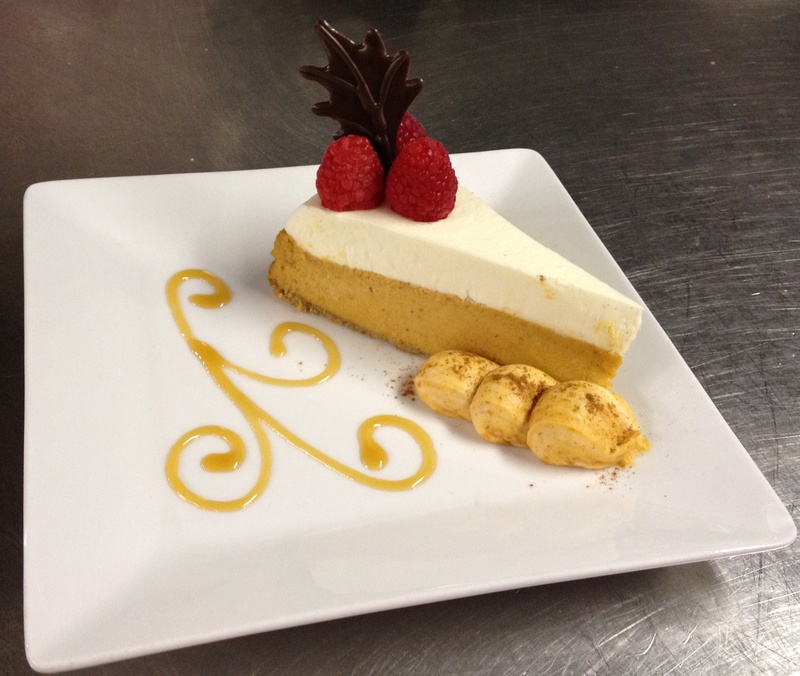 The River’s Edge Cafe + Patio Bar has featured this delicious cheesecake during fall and winter months. Enjoy this surprisingly simple recipe for a delicious autumn treat. In a small bowl, combine the graham cracker crumbs and sugar. Stir in butter. Press mixture into the bottom of a 9” springform pan. Chill. In a large bowl, beat cream cheese and sugar until smooth. Add eggs, beat on low speed, just until combined. Stir in the pumpkin, spices, and salt. Add cognac and maple syrup. Pour into crust. Bake in a water bath at 350 for 50 minutes. Combine sour cream, sugar and vanilla until smooth, spread over filling, return to the oven for 5 minutes to bake. Let cool before refrigerating. Refrigerate overnight.